Remove the radiator upper grille. 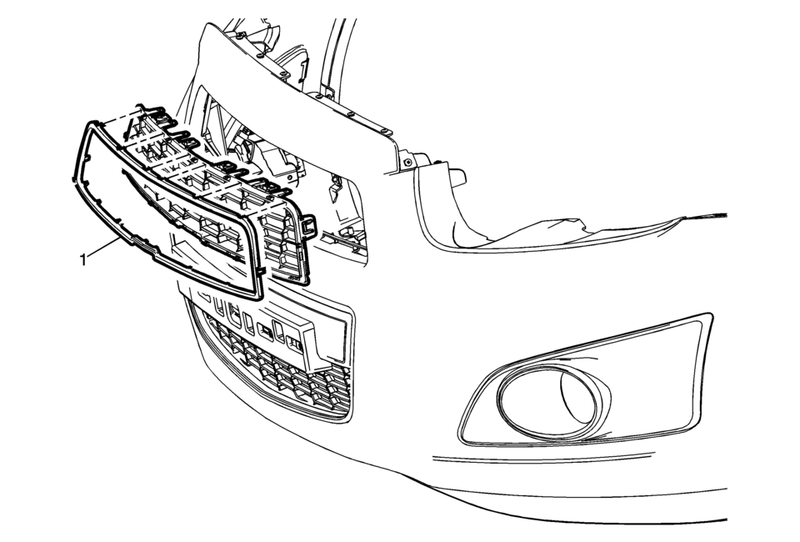 Refer to Front Upper Grille Replacement. Release the locking tabs securing the radiator opening grille cover to the radiator upper grille and remove.